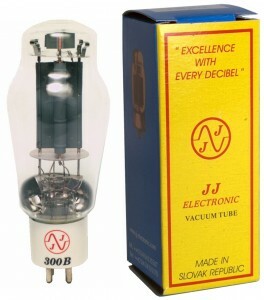 This entry was posted in Vacuum Tubes and tagged 300B, JJ by tubemaze. Bookmark the permalink. Very interesting two reviews of JJ 300B tubes. One review loves the sound, the other review hates the sound. I have it in my Dared 300B amp and love the sound. However, I don’t have any other 300B tubes to compare it to. When compared to KT88 from Penta Labs, the sound is great on the level with other high-end tubes. Hopefully in the future, I will be able to get my hands on my next 300B, which is Black Treasure.